HCN's (Health Communications Network) Pracsoft is the Australian market leader in practice management software, in use in over 3500 medical centres Australia wide. 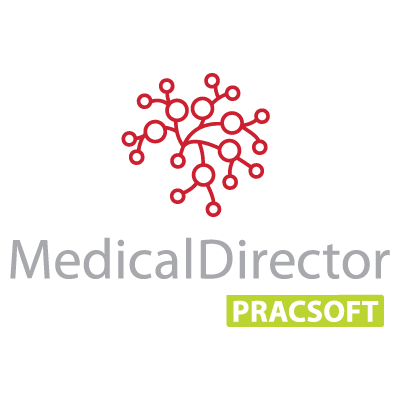 Pracsoft is top of the line practice management software and can integrate with all popular clinical software packages. Most importantly, it seamlessly integrates with HCN's Medical Director clinical software, using the same database for both and allowing a single backup to cover both applications. Full support for Tyro EFTPOS terminals and Medicare Easyclaim. Seamless integration with Medical Director, one backup for both programs. Easy to use SMS reminders for patient appointments. Modern, easy to understand and use interface. CompuGeeks are providing support and installation services for Pracsoft. We have helped many clinics move from paper based files to computer files, and through the major migration process. There are many technicalities which can come into when setting up and using Pracsoft in your clinic’s network. If the requirements aren’t properly met, if backups aren’t done reliably and if the software is not set up suitably for your requirements, there will be many issues arise and we are here to prevent that. Installation and setup of Pracsoft software. Review and documentation for accreditation.